Join us for our monthly Member Luncheon hosted at Harrah's Joliet Casino & Hotel. 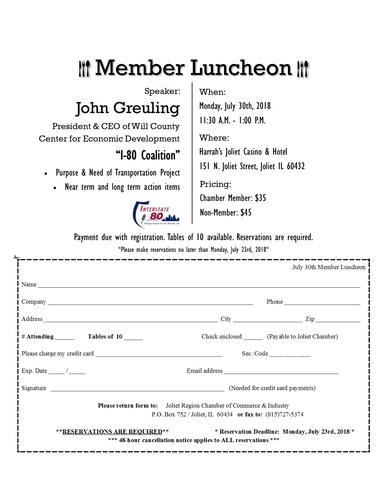 Guest speaker John Greuling, President and CEO of Will County Center for Economic Development, will discuss the I-80 Coaltion. This will include the purpose and need of the transportation project and near term and long term action items.